Ikea can be a bit hit and miss, but sometimes they just get it right. I recently made the trip for my bi-annual visit and I was pleasantly surprised with a new wish list of items, each item, as always, at a very reasonable price point. Here are my top ten items at the moment. A beautiful take on a 70’s cane revival, it is super comfortable and very on trend. A perfect addition to a coastal or boho sheike living room or bedroom setting. You could even go as far to add it to your outdoor living space (as long as its undercover!). For someone with a slight ceramics obsession, I couldn’t go past this dinnerware range of bowls, plates & mugs. A super cute hand made-y look with the choice of either a charcoal or pink colour way with white means you can mix and match without changing styles! Decent bedside tables at a reasonable price are ridiculously hard to find! I am extremely fussy with my requirements for a bedside, a like a drawer, a shelf but nothing too clunky. This bedside table is perfect in design, offering exactly what I want. The colour options of black or white is perfect, meaning if you have black features it can fit in nicely and if you prefer a fresh look white is good for you. Streamlined and decently proportioned means you’ll have a good spot for all your books, a lamp, and any items you might require! A cute addition for your living room, use it to layer with another coffee table. Sleek and minimalistic, the design is bang on and gives a hint of ‘scandi’ without being too much. I suggest a luxe coastal vibe or scandi modern vibe for this one. Yep you guessed it, why else would I have any interest in Ikea curtains unless they had a new range made of 100% linen. Yep. 100% LINEN! There really isn’t anything else to say, except for get down to Ikea ASAP to snag a pair or three of these. Perfect for softening a space, use in your living room or add to your bedroom to hide that ugly small window. The perfect dusty blush pink. Grab a couple of these to freshen up your bed styling or add to your lounge. Relaxed and easy going. Looking for a way to cut the cost of a new wardrobe? Simple fix. Add a cute handle (refer to no. 8) and you’re good to go. A smart & simple way to save money on those joiner’s fees, is to provide the doors yourself. Just make sure you let them know so they can allow for them! A great way to completely change the look of your kitchen cabinets / chest of drawers or basically anything with a door or drawer on it. Yep, you can D-I-Y it too! 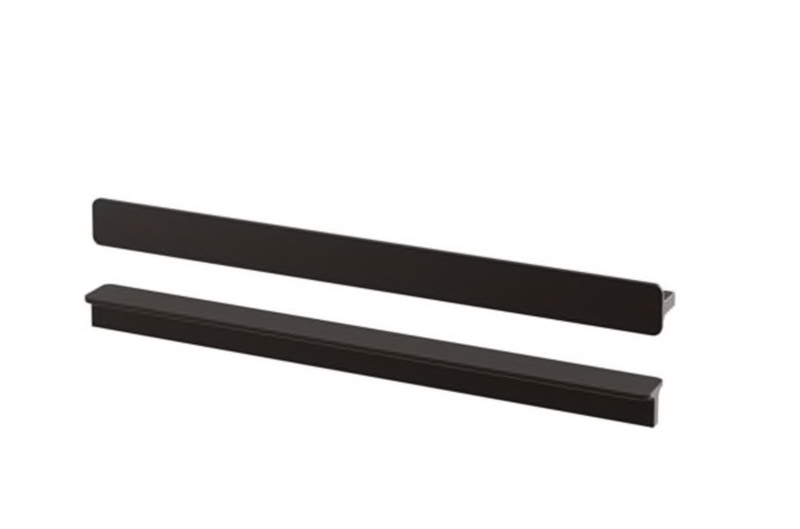 Just make sure the pre drilled holes on your door/drawer are suited to these. In need for a new lounge but can’t break the budget? Look no further. A smart, not to mention extremely comfortable, addition to your living room. Contemporary profile means it can fit with most contemporary styles. Also has a beautiful fabric selection, I went for the Tallmyra white / black. I am so sick of those typical Ikea rattan / fabric open storage boxes. BORING. But don’t worry. 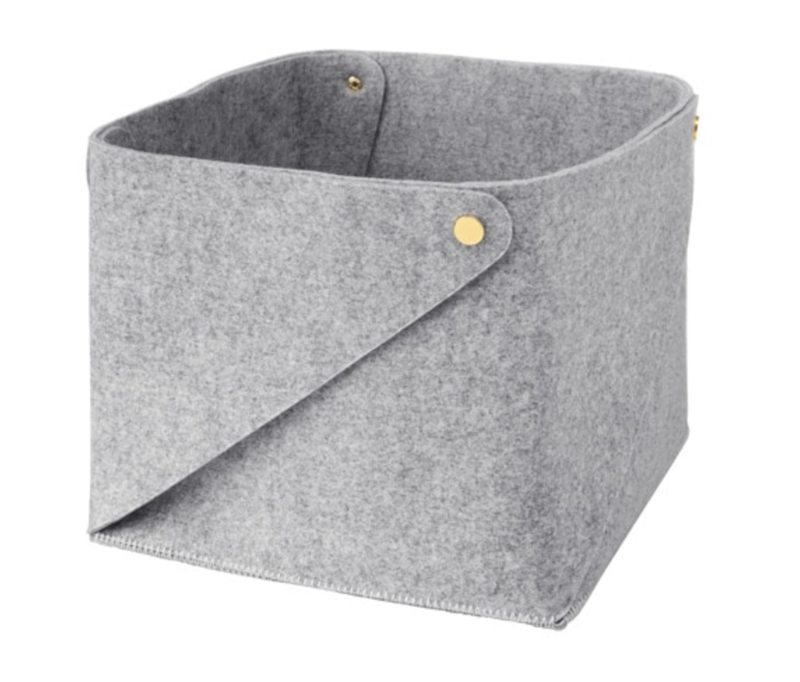 They have bought out these super cute grey felt storage boxes in varying sizes that are perfect for storing pretty much anything and look so good. Brass buttons give it a hint of glam too. I use mine to store books I’m meaning to read underneath my bedside table, but they’re also great drawer dividers!